The National Disability Insurance Scheme (NDIS) began its rollout across Australia in 2016. It is the nationwide government-funded program in which Australians up to 65 years of age with a chronic medical condition or disability can avail of formal supports and therapies. To be eligible to become an NDIS participant, an individual must provide evidence that their disability significantly affects their everyday life and functioning. The supports and services the NDIS cover include a wide range of areas, such as funding for equipment and home modifications, transport, or therapeutic services such as Occupational Therapy or Physiotherapy. Does the NDIS cover driving assessments or lessons? The needs and goals of each individual is assessed on a case-by-case basis. If obtaining your driver’s licence is a goal for you, it is possible to receive funding from the NDIS to help achieve this. In New South Wales, a person is required by law to declare any medical condition that may impact on their driving ability. The person is often required to undertake an Occupational Therapy (OT) Driving Assessment to determine the effect, if any, that their condition or disability has on their driving performance. Moreover, they may need several driving lessons to help them obtain or regain their licence. The NDIS may cover the costs of these assessments, ongoing lessons and recommended vehicle modifications if appropriate funding has been allocated. 1. An NDIS participant already has their driver’s licence but has been referred for an OT driving assessment, perhaps due to deterioration of their condition or the emergence of a new diagnosis. Often in these cases, the person’s treating Doctor has notified the RMS of the person’s need for a driving assessment. The person’s NDIS funding may be used to pay for the cost of the assessment, as well as for any subsequent lessons or vehicle modifications required. 2. An NDIS participant does not have their driver’s licence and wants to learn how to drive. Once the person has obtained their learner’s licence, their NDIS funding may cover costs associated with the OT driving assessment, vehicle modifications or ongoing driving lessons. As the person is a novice driver, they will need several driving lessons with a rehabilitation driving instructor. The number of lessons required will be recommended by the Occupational Therapist. Some of these lessons may be funded by the NDIS, while some lessons will need to be covered by the individual. In general, the NDIS will continue to fund driving lessons as long as the person is showing improvement in their driving skills. Once the person has reached the required driving hours for a learner driver and the driving instructor feels they are ready, they can undergo the Provisional driving test. How does an OT driving assessment work? Regardless of whether or not you have driven before, you will need to complete an OT driving assessment. The aim of this assessment is to decide whether or not the person’s disability or medical condition is affecting their driving performance, and if these effects can be appropriately managed so the person can drive safely. Regardless of the medical condition, the OT driving assessment is comprised of two parts; the off-road and on-road assessments. The assessment is conducted in the person’s home and their local area. The off-road assessment involves the OT performing a physical, visual and cognitive screen to identify any significant deficits in these areas that may affect the person’s driving. The on-road assessment is where the person drives the driving instructor’s dual-controlled car and drives for 1 hour. For drivers with experience, the assessment explores how their condition may be influencing their driving ability. Minor mistakes, such as those made due to being unfamiliar with the vehicle, are not heavily focused on. However critical errors (those requiring the driving instructor to physically intervene by either utilizing the steering wheel or emergency brake), may result in the determination that the person’s condition is impacting on their driving. The OT and driving instructor will then work with the individual and develop a plan to attempt to overcome these deficits, through driving lessons or vehicle modifications (which will also require lessons to learn how to operate them). For new and inexperienced drivers (i.e. those on a learner’s licence), the OT driving assessment follows the same process, however the on-road assessment is used to gather a baseline of the person’s current driving ability. The OT will then recommend a number of lessons for the person and formulate driving goals, which are often categorized into three areas of driving: basic traffic, moderate traffic and complex traffic. How many driving lessons will I need and will the NDIS fund all of them? An estimated amount of lessons will be recommended by the OT however, this may change depending on the person’s progress. The amount of lessons required varies between individuals. The person will work with a rehabilitation driving instructor for these lessons, who will provide regular feedback to the OT about the person’s development. 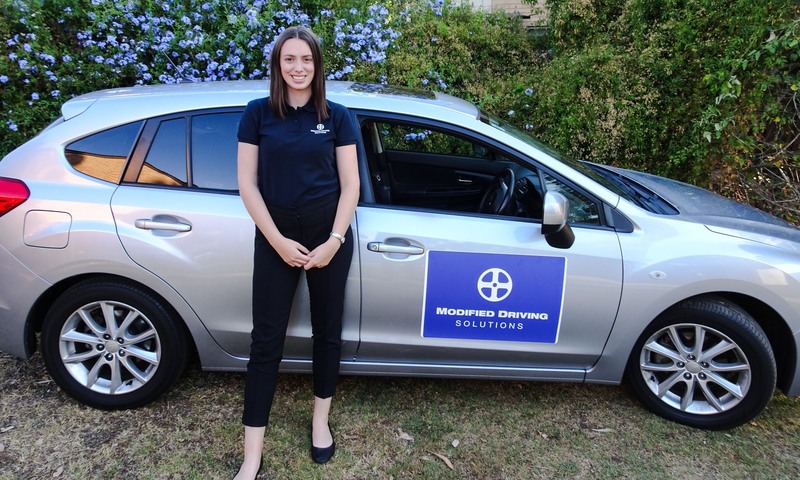 These driving instructors are specialised in working with people with medical conditions and disabilities. The amount of lessons the NDIS will fund depends on the person’s allocated funding. It is best to speak to your NDIS coordinator and be specific about your driving goals, so that this is taken into account when developing your NDIS plan. It is common that people who only need a small number of lessons may be approved for enough funding to cover all lessons. However, people who require several lessons may need to bear the costs of some of the lessons themselves.